Tucker Viemeister, FIDSA, brings new meaning to the term “multimedia.” His life (not just his work) is a convergence of innovative ideas and physical stuff. Trained as a product designer, he is also involved in architecture, graphics, new media, branding and strategy. He helped create the widely acclaimed OXO "GoodGrips" universal kitchen tools. He also writes, teaches and lectures, serves on a few boards, was named after a car and still has time for volunteer work, his family and his transdisciplinary company, Viemeister Industries, focusing on creating integrated brands, products and places. Partners include JCDecaux, Design Within Reach and Omhu. Viemeister helped start some important design organizations: The Lab at Rockwell Group, Springtime-USA, frog design’s New York office, Razorfish’s physical design capability and Smart Design. He designed consumer products, transportation, architecture, digital interactive responsive experiences, graphics, branding and strategy, cookware and sunglasses for Corning, street furniture for the National Zoo, internet appliances for Google, a mobile kitchen/classroom for chef Jamie Oliver and in the beginning, jewelry. Clients include Apple, Coca-Cola, Cuisinart, Black & Decker, Remington, OXO, Viking, J&J, Timex, Levi’s, Gap, Phat Farm, Nestlé, Unilever, Motorola, Toshiba, Sharp, Seibu, Toyota, Nike, Knoll, Steelcase, Kate Spade, Cosmopolitan casino and the NYC Board of Education. Growing up in Ohio, Viemeister saw how much fun his father, Read Viemeister, FIDSA, had working as an industrial designer. The younger Viemiester was named after the car his father was working on when Tucker was born. He also saw the commitment his mother had for her community work. These basic influences come together in Viemeister's own design career as a mix of enjoyment and responsibility, business and culture. It's a mix that he believes is essential to good design and a healthful society. In 1979, Viemeister began working with Davin Stowell and six years later they founded Smart Design, Inc. Their most successful products are the widely-acclaimed Oxo "Good Grips" universal kitchen tools, the advanced technology Serengeti sunglasses and their packages and catalogs, Black & Decker's best-selling Metropolitan toaster, the ergonomic/psychonomic Home Phones for Cicena, the breakthrough Tea Brewer for Cuisinart, $10 million worth of wacky Joe Boxer watches with Nick Graham for Timex and lots of other comfortable, practical, profitable, and fun stuff. In 1997, Viemiester was asked by the famed industrial designer Hartmut Esslinger to open a frogdesign studio in New York City. "Genius Watch" in Businessweek proclaimed: "Two of the most famous and mercurial figures in the product-design world are linking up." In two years, Viemiester organized frog NYC's multi-disciplinary team, delivering integrated strategic design and communication (ISDC). Projects included: brand positioning, concepts and packaging for Nescafé and Motorola's satellite communication systems Iridium and Teledesic, Uniliver men's personal care sport product line, design exploration for a single-use camera for Agfa and concept exploration high-tech/ergonomic sports bra. From 1999 to 2001, Viemiester carried a new dimension to the digital giant, Razorfish. As executive VP of research and development he built the physical industrial design capabilities and helped direct Razorfish on a global level and internal programs such as "Flying Fish," "School of Fish" and "science projects." He was involved in landing clients including Vodaphone, P&G, Ford and Nike; cross-platform projects like the dental port, Cieos; or conceptual explorations like the implanted "Headphone." Extending internet and interface across all kinds of platforms and virtual products requires inclusive methodology. The seamless integration on all media demands a new kind of designer, that's why Viemeister called himself the "last industrial designer." He was dubbed "industrial design's elder wunderkind" when he was included in "America's Hottest 40" by ID, not because he was old but because of his energy. Viemeister has lectured from Budapest to Tokyo, including the Pompidou Centre in Paris, the Cooper Hewitt, Smithsonian Design Museum's Millennium Conference in New York, and HAL in Osaka. He was on the faculty of Yale, NYU (interactive telecommunications program) and Parsons, and has taught at Pratt Institute, California Institute of the Arts, University of Cincinnati and Ecole Nationale Supérieure de Creation Industrielle. Viemeister has served as a panelist for the Pew Fellowship in the Arts and a juror for the Rotterdam Prize, AIGA's Objects of Design, the ID Design Review and the International Design Excellence Awards (IDEA). His work was selected for the first Presidential Design Achievement Award (1984), Forma Finlandia (1987), the annual ID Design Review (11 times) and IDEA (seven times), and is represented in the permanent collections of the Cooper Hewitt and the Museum of Modern Art, and he is listed in Who's Who in America. He edited the compendium, Product Design 6 and his "Dream Chair for On-line Reading" appeared on the cover of Microsoft's internet magazine Slate. He is working on a program to build 650 beautiful new libraries in all of New York City's public elementary schools in "The Library Initiative" with the New York City Board of Education, the Robin Hood Foundation and architect Henry Myerberg. As a Pratt graduate (bachelor's in industrial design '74), he is chair of the Rowena Reed Kostellow Fund (honoring one of Pratt's most influential professors). 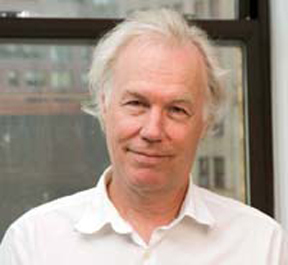 Viemiester is VP of the Architectural League of New York and was on the Board of the American Center for Design. As chair of IDSA's 2005 IDEA jury, he instituted a new digital jurying process. He was chair of IDSA"s 1995 International Design Conference in Santa Fe, NM, and chair of Cooper Hewitt's Professional Designers Advisory Committee. Viemeister wrote, along with author Gail Greet Hannah, Elements of Design: Rowena Reed Kostellow and the Structure of Visual Relationships, published by the Princeton Architectural Press, NYC, and curated "Corvettes to Cuisinart," an exhibit about six decades of Pratt industrial design alumni. Viemeister holds 32 US utility patents.